I look forward to hearing what appeals to you listeners about vampires. What makes a good vampire movie? 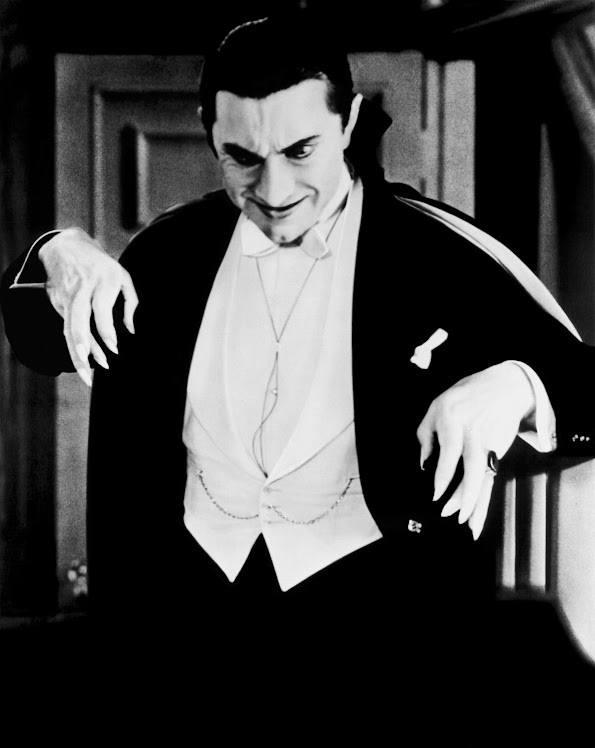 As for myself, it all started with the original Dracula from 1931. I probably saw it on Creature Features on KTVU Oakland back in the early to mid '70s, and liked it immediately. Later, one summer day, my mom and her best friend dropped myself and the rest of the kids off at the theatre, which was playing a double feature matinee featuring the Count Yorga Movies. Both of these movies, while they now show their age, scared the crap out of me, and also gave me the image of vampires as truly terrifying monsters. Over the years I've enjoyed the performances of Christopher Lee, and others as they contribute to the genre. In recent years, the movies have played up the more romantic facet of the vampire, which has mostly left me cold. I have to admit, I watched Twilight, but I just couldn't connect with it, and didn't finish watching it. I just don't regard vampires in some fairy tale way. Not that I don't veer from the beaten path and enjoy some other takes on the genre, as you'll hear on the next Horror Jungle podcast. I won't give it away, but I'm probably going to take my lumps for my pick! I look forward to the discussion. Please comment and share your take on the genre!